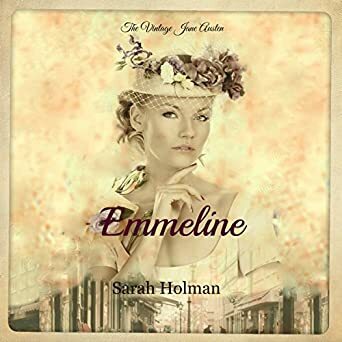 Though Emma isn’t my absolute favorite Jane Austen book, it is one of them and I was excited to listen to this retelling. The characters were great! I loved how each of them was similar to Jane Austen’s, but still had some differences. I loved how Sarah wrote them and then J. Grace did an excellent job with reading them. The dialogue fit both the retelling as well as the period it was set in. The little details about the pre-depression era were really good and made it more suspenseful as well. The way Sarah changed the plot to fit a new era was great. I thought it fit really well. The writing was really good. Since I listened to the audiobook, I couldn’t see if there were any typos, but it was done really well. I had to stop it a few times because of time constraints here and there, but otherwise I wouldn’t have stopped at all. It was really good. If you like Jane Austen, but don’t like some of the more “boring” parts of her books, you will like this book. I know I did. And now I’m interested in reading the others in the series even though they aren’t written by Sarah Holman. J. Grace Pennington’s narration was excellent, too!